Is Jeep Compass Really Cheaper than XUV 500? Think Again! Yes, we totally understand that the Compass and the XUV 500 aren’t direct rivals. 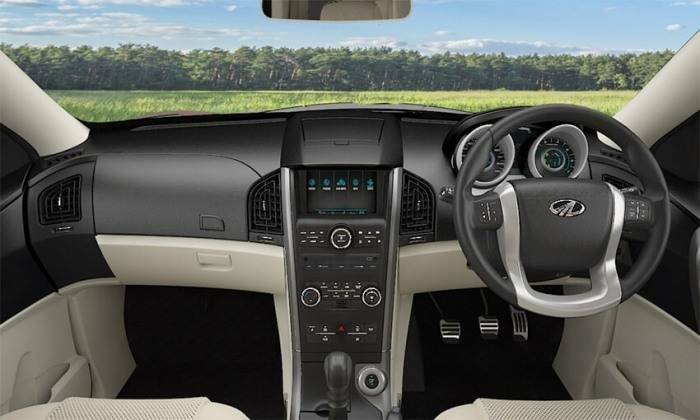 While the XUV is a 7-seater model and has a very high road presence owing to its size, the Compass is a small 5-seater SUV that catches attention through its modern and distinctive styling. Even the specifications of the two SUVs here don’t have much of a parallel between them. However, we’re sure many buyers of XUV 500 will notice the arrival of the Compass and some of them are likely to be tempted to put their money on this new-age world class SUV instead. 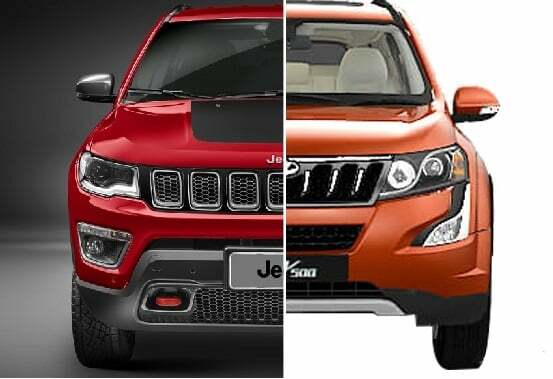 At least, this is what we had in our mind we finally decided to compare Jeep Compass and XUV 500. As you can see, the entry-level Compass starts at ₹ 14.95 lakh, which is basically close to the price of of Mahindra XUV500 W8 2WD variant. However, this is only half the story. Sure, you can buy yourself a petrol model of the Compass for less that what you’ll pay for the W8 XUV 500, let’s not forget that the this price is for the entry-level Petrol model. The XUV doesn’t have a petrol engine variant and hence, it’ll be better to compare its prices with the costs of the the Diesel models of the new Jeep SUV. Let’s have a look at how prices of the Diesel models of the Compass compare with those of the XUV 500. 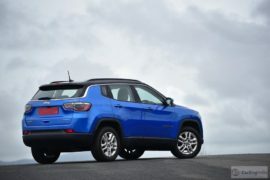 The new Jeep Compass has gone on sale with both Petrol and Diesel engines. This is one area where the new Jeep SUV enjoys an advantage over the XUV. We say this as the flagship Mahindra is available with a Diesel engine only. The Petrol engine for the Compass is a 1.4-litre TJet turbocharged unit that outputs a max. power of 160 BHP and a peak torque of 250 Nm. The petrol engine variant offers you a choice of a 6-speed Manual and a 7-speed Automatic transmissions. 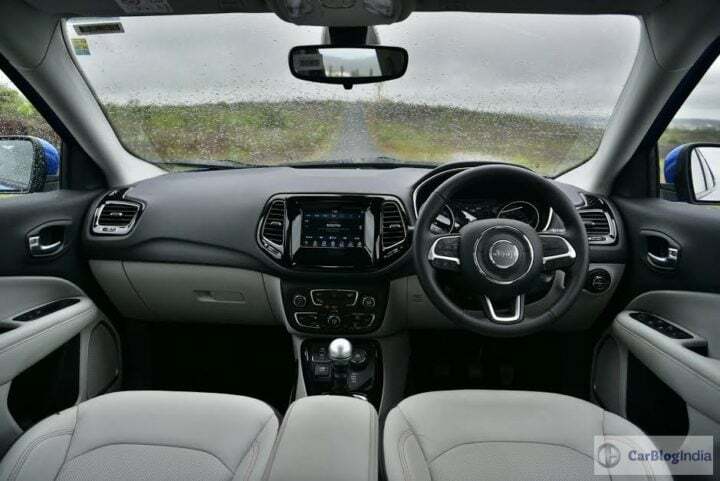 The Diesel engine for the Compass is a 2.0-litre Multijet Turbocharged unit that outputs 170 BHP and 350 Nm. The Diesel engine is currently available with a 6-speed Manual Transmission only. The top-end trim offers an option of 4×4. 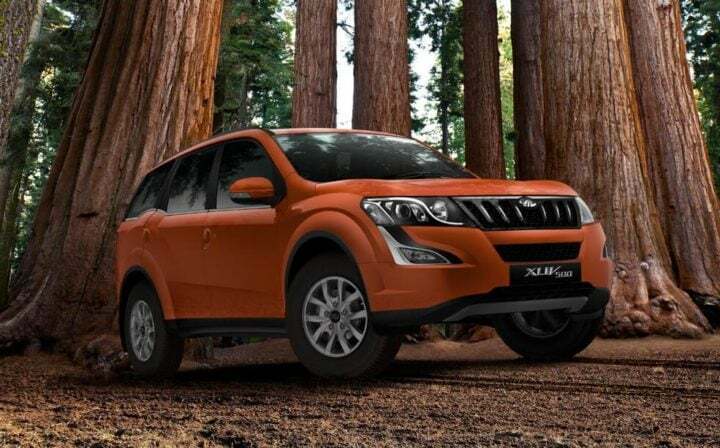 The XUV 500 is on sale with a 2.2-litre mHawk Tubrocharged Diesel engine only. In spite of having a displacement advantage, this motor outputs 20 BHP lesser than the Diesel Compass’ 2.0 Diesel motor. Even the torque output is slightly lower. However, this engine is available with both 6-speed Manual and 6-speed Automatic transmissions. The XUV 500 also offers you an option of a 4×4 mechanism. The Compass is not only lighter, but also gets smaller engines. Hence, it doesn’t come as a surprise to see it boasting much higher fuel mileage figures than the XUV 500. 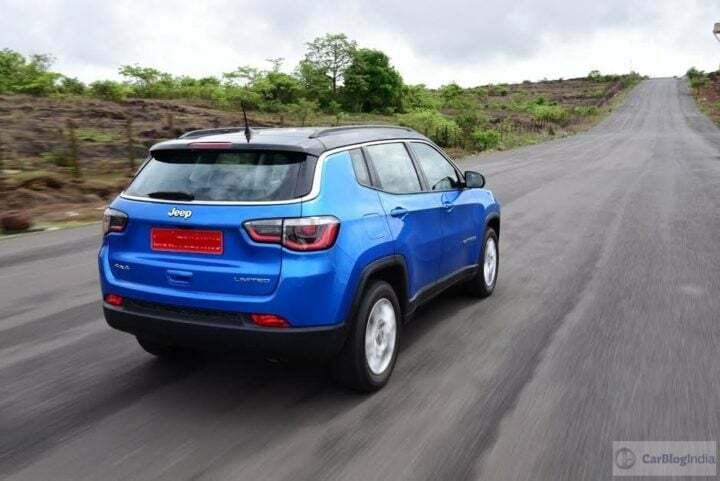 Even the Petrol model of the Compass is expected to offer up to 14 KMPL, which is pretty good for a engine this powerful. The Diesel Compass has an ARAI-test mileage of up to 17.1 KMPL for 4×2 and 16.3 KMPL for 4×4 models. 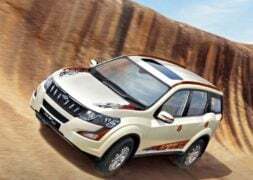 In comparison, the Mahindra XUV 500 offers a mileage of up to 15.1 KMPL. 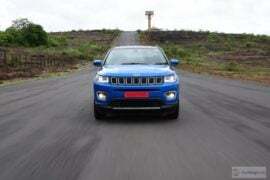 Hence, the new Jeep has a clear upper hand if you compare Jeep Compass and XUV 500 in terms of mileage. The XUV 500 is a significantly larger SUV than the Compass. From its length to width, wheelbase to even height, the XUV is superior in every aspect here. Thanks to much larger dimensions, the XUV gets 3 rows of seats, which can seat up to 7 passengers in reasonable comfort. In comparison, the Compass is a strict 5-seater. The new Jeep Compass looks very chic and modern. Its distinctive design and many typical Jeep design cues like a 7-slat grille are quick to catch your attention. Thanks to this, it has got a face typical of Jeep SUVs. The new Compass, at first glance, looks like a baby brother of the mighty Grand Cherokee. For a Small SUV, the Compass offers a pretty bold stance. It looks pretty sporty too. The compact dimensions and short overhangs do translate into a very dynamic stance. The Compass looks butch and sophisticated. Bits like the wraparound taillamps add sleekness to the design. Basically, the entire car looks really good. 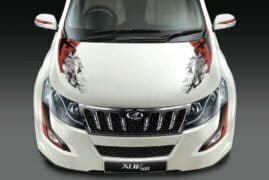 On the other hand, the Mahindra XUV 500 is for those with the ‘big-is-beautiful’ school of thought. True, it doesn’t look as modern or sophisticated as the Compass, but it still manages to hold its own by offering a muscular exterior design with bold creases. The highly flared wheel arches add enough masculinity to the design. The LED DRLs lend a slight touch of premimum-ness. The interior of the Compass is a pretty nice place to be in. It is made of high quality materials and taking the centrestage on the dashboard is the 7-inch UConnect system. The centre console offers many well-placed buttons. The Compass gets a sporty three-spoke steering wheel. The steering wheel has a thick rim, which should make it good for use at all times. A highlight is the Selec-Terrain drive mode selector which occupies a good amount of space ahead of the gear shifter. All in all, the interior of this car looks quite good. In comparison, the XUV500’s interior offers a lot more space and even more seats. The plastic is of decent quality, but it really can’t match the Compass in this aspect. Even the XUV gets many features, but fails to feel as premium as the Compass. Still, those looking for a spacious SUV should choose the XUV over the Compass. Price- First things first, the Compass isn’t really all that cheaper than the XUV. The entry-level Diesel model of the Compass is even costlier than the W8 trim of the XUV. Sure, the Compass offers better specifications and more mileage, but the XUV 500 W8 offers many more features than the entry-level Compass. Also, you get a higher seating capacity. Specifications- The Compass’ Diesel engine has more power and torque. Also, the Compass offers a petrol engine option. The XUV offers an automatic option, which is something that Compass is yet to start offering. Even the XUV offers a 4×4 system, but overall, the Compass is the clear winner here. Mileage – The Compass is not only more powerful, but also offer a higher mileage than the XUV. Dimensions – The XUV is much larger than the Compass. It offers 7 seats, while the Compass offers only 5 seats. It also offers a larger storage space. Design – Even in terms of design, the two cars are as different as they can possibly get. While the Compass impresses with its compact, modern and sufficiently muscular looks, the XUV’s big and bold exterior is quick to catch attention. Think again if you thought the Compass is really all that cheaper than the XUV. For the price of an entry-level Compass, you get the mid-level trim of the XUV. So, for the same price, you get a Diesel engine, more seats and many more features. Even if you compare the top-end Diesel Compass with the fully loaded XUV 500, the latter comes across as a much higher value-for-money proposition. For 2 Lakh Rs. less, the XUV 500 offers AWD, almost similar levels of equipment and even 2 extra seats. Sure, the Compass offers a more modern design. It also looks nothing like anything else on the road, but overall, if you look at both these models, the XUV 500 turns out to a much more sensible offering. What do you think? Have been able to correctly compare Jeep Compass and XUV 500? Do share your views by penning them down in the comments section below. Stay tuned for more such comparisons.